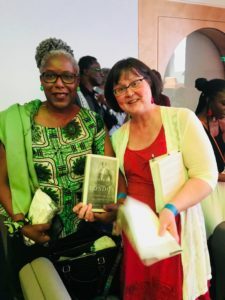 As I prepare for the American launch of An African in Imperial London, I am taking a minute to reflect back on the process of writing and to introduce you to a few incredible people I met along the way. Many, many gifts came my way during the seven years of writing about A.B.C. Merriman-Labor, but among the greatest was the opportunity to learn about the history of the Krios from West Africa. 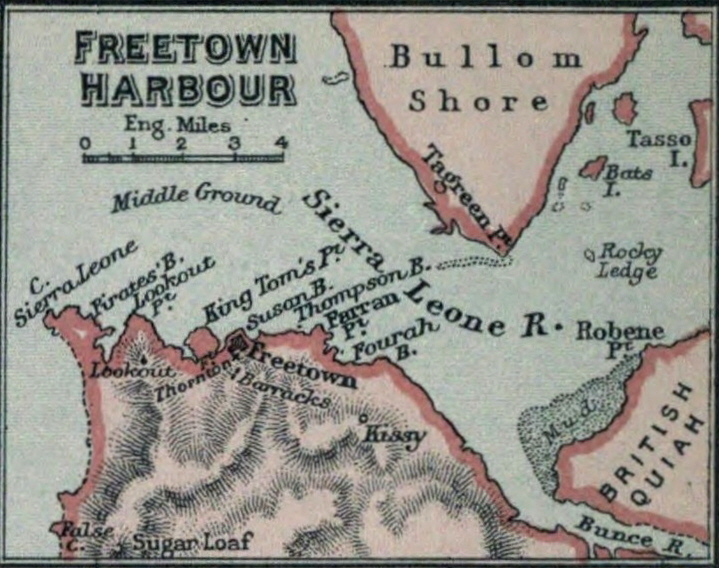 Merriman-Labor came from these incredible people, a descendant of men and women who escaped from slavery, fought in revolutionary wars, and made a life for themselves in the “Province of Freedom” that become the place we know as Sierra Leone. They endured unbelievable hardships during their first years in Africa. Here’s a quote from the Introduction to An African in Imperial London that gives a taste of the kinds of things these indomitable settlers endured as they tried to make a new life of freedom. A comparison, wrote the African Institute in 1807, between the Sierra Leoneans and European settlers in other colonial enterprises around the world would be “highly advantageous to the African character.” It was easy for me to see where A.B.C. Merriman-Labor got his indomitable spirit. And it is exactly this spirit that energizes Krios today. I made contact with the Krio powerhouse Iyamide Thomas a few months back when I joined the Krio Dot Com Facebook page. For her day job, Iyamide serves as the National Health Service Engagement Lead for the UK Sickle Cell Society, but her true passion is Krio heritage. She writes articles and appears on television to help make this unique history and its important link to Britain more broadly known. Iymamide is not just beautiful, not just passionate about Krio history, but a force of nature! She knows everyone and knows how to make things happen. When I met her in person, she was so warm, so kind, and so gracious, I knew my work on Merriman-Labor had brought me in contact with another kindred spirit. 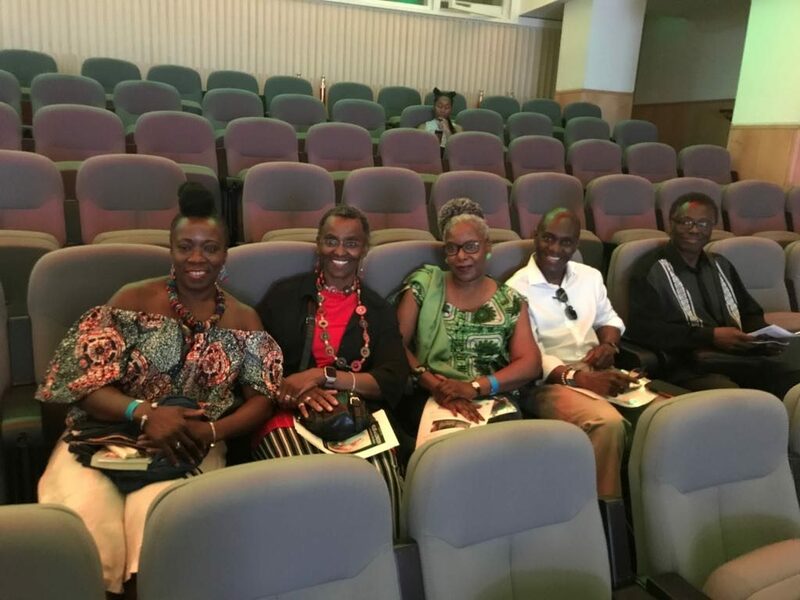 When she came to my talk at the British Library, Iyamide brought an amazing “Krio Posse” with her. If I tell you just a bit about these people, you’ll see how honored I was to have such an impressive group in the audience. Anni Domingo: Writer, actress/singer, lecturer, and director. Her plays have been performed in UK in schools and theatres, her poetry and stories published in various anthologies, and her workbooks on Shakespeare used in British schools. Ade Daramy: Broadcaster, journalist, editor, and founding member of the Sierra Leone Diaspora Network, editor-in-chief of Promota Africa magazine and co-editor of the Journal of Sierra Leone Studies as well as a media commentator on African affairs. Jacqueline John: Independent Contractor within the public sector, trustee of the Sierra Leone Cancer Charity, and a team member of Krios Dot Com with a strong interest in Krio heritage. Charles Harding: Barrister, solicitor, and author of The Fascinating History of my Liberated Ancestors published in 2016. In his book, Harding traces his ancestors back nine generations! What an incredibly accomplished group! Wyse’s short history provides an illuminating introduction. At nearly 800 pages, Fyfe’s history takes a greater commitment from a reader, but offers inspiring storytelling in return. Eager to learn more about African Literature? You can now listen to the panels and discussions, readings and workshops on the The Africa Writes 2018 Podcast Series. Here’s a link to a podcast of my wonderful panel. You’ll hear playwright and screenwriter Ade Solanke talk about the intriguing African poet Phillis Wheatley, who was at once a celebrity and a slave in 18th-century Boston. Then I read excerpts from An African in Imperial London. Next, historian and writer Steve Martin gives an illuminating and incisive overview of the 18th and 20th-century Black British experience. Finally, lively and lovely journalist and broadcaster Emma Dabiri guides our conversation with her discerning questions. Telling the story of Merriman-Labor reminds us that people of African descent have long contributed to British culture and identity. People ask me all the time, “What kind of stories do you want to tell, Viola?” And I say, “Exhume those bodies.” Exhume those stories — the stories of the people who dreamed big and never saw those dreams to fruition.